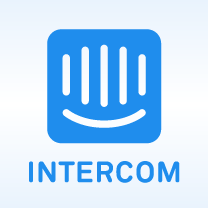 Intercom is a customer platform with a suite of products for live chat, marketing, feedback, and support. Their products enable targeted communication with customers on websites, in web and mobile apps, by Facebook Messenger, and by email. Just install this app and enjoy 14 days free trial now! Live chat - Chat with visitors to your website in real-time, capture them as leads, and convert them to customers. Marketing Automation - Use targeted, automated messages to onboard new users, announce new features, and re-engage people that slip away. Customer Support - Let your customers ask for help and get responses when and where they need it — inside your web and mobile apps, by email, and via social.